If any of my readers are interested in more software-focussed projects, I have a number of Python projects on GitHub (http://github.com/thisismyrobot). All the projects can be viewed and downloaded without signing up to GitHub and I'd be greatly appreciative of any offered feedback. 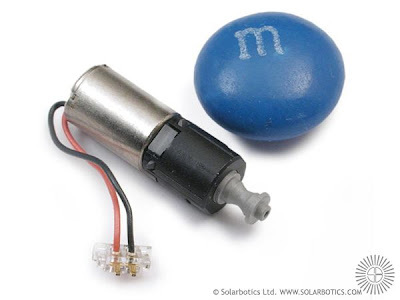 Also, I purchased two of these motors from Solarbotics to go on the micro walker from the last post. Each one is an amazingly light 1.3 grams and fits the motor, a 25:1 planetary gear box and the output shaft all within a 20.1mm length. Multimeters are available in 2 basic forms: digital and analog. associate analog device incorporates a needle; the digital counterpart incorporates a light-emitting diode or show LCD digital display alphanumeric display display Multimeter for Automotive.